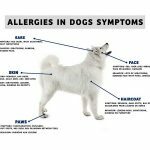 Not only do temperatures and weather conditions change as the fall season approaches, but those annoying allergies you get every year, around this time, are likely to hit again. But don’t worry just yet, there are ways to fight the annoyance so you can be as allergy-free as possible this fall. Sometimes it is hard to distinguish whether the symptoms you are experiencing are due to a cold or allergies. The clear difference between the two is colds usually tend to be short-lived whereas allergies can run for weeks or even months. The most common allergy is pollen (also called hay fever), which causes symptoms to flare-up due to the pollen grains floating through the air. Allergies tend to occur when the seasons change and you may notice your allergies approaching at almost the exact same time every year. Close Your Windows – keep your windows closed in both your house and your car especially at night. This will prevent pollen and mold spores from entering your house and into the air you breathe. Stay Indoors – staying indoors (with your windows shut) is probably the best way to ensure you don’t get allergies this season. Most of the pollen is found outdoors, so eliminate this allergic element as much as possible. Use Your Air Conditioner – Turning on your air conditioner provides relief by cleaning, cooling and drying the air in your home. Dehumidifiers or air filters will also help in these situations. Use Air Ionizers& HEPA Filters These products remove particulates from the air you breathe. Protect Yourself – If it is necessary for you to go outside to do yard work (or for other reasons), protect yourself by wearing a mask or a cover-up of some sort to keep you from breathing in the “contaminated air”. Take Showers and Baths – If you are outdoors for extended periods of time, take either a shower or a bath when you return home. Showers and baths will wash away some of the pollen that is left on your body. Changing your clothes when you come in from being outside is also a good idea. If none of these things work for you and you find yourself suffering from allergy symptoms anyway, there are treatments which can help. Nasal Sprays, oral antihistamines and decongestants are all great for allergy relief. For itchy and watery eyes there are many forms of eye drops like Visine which you can purchase at any drugstore. Immunotherapy (an allergy shot) is also a great way to help with your allergies this season. Check with your doctor before using any medications or treatments since some can potentially cause harmful side effects. KRISTEN STEWART at JDRF's Annual 'WALK TO CURE DIABETES"